Wrong Kind of Black is a 30 minute scripted comedy television series, which kicked off on August 5, 2018, on ABC iView and is broadcast every Sunday at . The show is currently in its 1st season. ABC iView is yet to announce the renewal of Wrong Kind of Black for Season 2 as well as its cancelation. Sign up to track down the show's status and its release date. Wrong Kind of Black, set in the 60s and 70s is based on experiences from the extraordinary life of Boori Monty Pryor, author and storyteller, who grew up in Townsville before moving to Melbourne to pursue modelling and DJing. 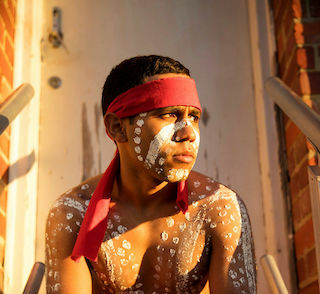 From the cops and crocs of Queensland, to the disco dance floors of Melbourne, this is a hilarious, inspiring and heart breaking story of?an Aboriginal man who?stood against the tide of Australian racism, refusing to be labeled 'the wrong kind of black'.